The play captured the Society’s desire and determination to save the cultural vibrancy of Old San Antonio. Thanks to these ladies’ far reaching vision, the city’s “golden eggs” are still with us today, drawing visitors from around the world. To understand this story, one must consider the major characters – not only the founders of the San Antonio Conservation Society, Rena Maverick Green and Emily Edwards – but also the city that inspired their efforts to retain the “antiquated foreignness” that embodied its character and charm. Mary Rowena Maverick was born to George Madison and Mary Elizabeth Vance Maverick on Feb. 10, 1874 in Sedalia, MO. She was educated at the Mary Institute in St. Louis and at Stuart Hall in Staunton, VA. Throughout her life she took art classes, and was accomplished in watercolor and sculpture, taking firsts in the Southern Artists’ Show and the Texas Small Sculpture Contest. Growing up, she frequently visited her grandmother, Mary Adams Maverick, in San Antonio. In 1896, the family moved to San Antonio where she made her debut and met Robert Berrien Green. The two married in 1897 and had four children. Widowed in 1907, Rena Green briefly moved to the Maverick Ranch in Boerne before returning to San Antonio where she became intensely engaged in civic activities. In 1914 she was one of the first women to serve on the San Antonio School Board and later served on the SA Public Library Board of trustees. During WWI as a member of the San Antonio City Committee, she successfully pushed for the hiring of the first 8 policewomen and the first juvenile judge. She also opened the first legal aid office for the poor. She demonstrated for women’s rights to vote in Washington DC, and was a major leader in getting women’s right to vote in Texas in 1918. She also worked on Texas’ passage of the 19th Amendment in 1920. Serving as chairman of the Missions Committee of the Alamo Mission Chapter of the Daughters of the Republic of Texas, Rena Maverick Green was extremely concerned about rapid growth of the city toward San Jose Mission. She proposed that the State purchase 1000 acres around San Jose, San Juan and Espada for a state park. She also thought restoring the acequia system would allow the property to be leased as productive farmland. She garnered the support of New York’s Reginald Pelham Bolton of the American Scenic and Historic Preservation Society, Los Angeles’ Charles Lummis, who had led the preservation of several California Missions, and congressman John Nance Garner. The decrepitude of the missions was not the only problem. In the early 20th century, San Antonio was burgeoning with new structures and streets (Alamo, Commerce, Dolorosa/Market, Soledad and North Flores) were being widened to accommodate increased traffic. Old adobes were being obliterated and building facades on the South side of Commerce and the east side of the Dullnig Building on Alamo were removed to allow widening. The City had yet to successfully address the problem of flash flooding, suffering devastating floods in 1724, 1819, 1865, 1899, 1913, and 1921. Engineers since the 19th century recommended the removal of in-channel dams, enlarging the bridges and forbidding construction in known flood channels. In 1911 engineer W.E. Simpson suggested a diversion channel to carry storm water away from the downtown horseshoe bend. In 1920, the Boston engineering firm Metcalf and Eddy delivered a comprehensive engineering study recommending a flood retention dam in the Olmos basin and a bypass flood channel from Travis Street to Dolorosa. Right in the path of this bypass channel was the Old Market House, designed by John Fries, who also designed the well-known curved parapet we recognize on top of the Alamo. Emily Edwards was born to Lillian Brockway and Frank Mudge Edwards on October 7, 1888, as the third of five children. Her mother died when she was seven years, and from age ten to thirteen, she and her three sisters boarded at the Ursuline Academy where her artistic talent was encouraged. Subsequently she studied at the San Antonio Female Institute for two years and studied drawing with Pompeo Coppini. In 1905, she moved to Chicago and stayed with her aunt in Jane Addams’ Hull House to study at the Art Institute. She worked at the Institute to pay her tuition and gave voluntary art classes at Hull House, later teaching art at a private school in Chicago. She subsequently returned to San Antonio to teach art at Brackenridge High School. Emily Edward’s teaching encompassed many areas – from regular classes to designing sets for school plays, including one on the banks of the San Antonio River at the edge of the campus, using one side for seating and the other for the stage with a bridge connecting the two. One of her prize students in this period was Robert H.H. Hugman, who graduated from the School of Architecture at the University of Texas at Austin in 1924. Today, we know him as the designer of the San Antonio River Walk. After two years, Emily Edwards left San Antonio to teach art in Charleston, WV, then designed sets in New York City, before moving Provincetown, MA. 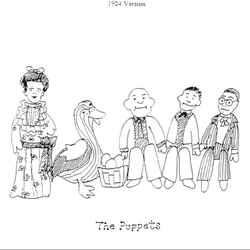 There, she made puppets and staged puppet shows with the assistance of Lucy Maverick, Rena’s sister. Again, she taught at Hull House and planned to return to Chicago in the Fall of 1923. That summer she met Rena at the Maverick Ranch and decided to remain in San Antonio because of a conflict with a staff member at Hull House. Early in March 1924, she happened to meet Rena on the street near the old Market House where they were lamenting its fate as it was in the pathway of the proposed bypass channel. As Emily Edwards recalled their conversation: “Finally Mrs. Green said, ‘Well, we can just protest all we wish as individuals, and no one will pay any attention to us. But if we organize they will.’ I said, ‘then, let’s organize.’” Wasting no time, Green marched them over to her friend, attorney Thomas Franklin, to get advice on how to proceed. As Lewis Fisher pointed out in Saving San Antonio, Rena Green and Emily Edwards “The San Antonio ladies focused on saving something unknown to be worth saving – a commercial building.” Efforts to save the Market House involved trying to raise sufficient funds to purchase it for a city museum. But all was for naught when the city widened the street and decided not to tunnel under the building. The Society lost its first major battle but continued to advocate for conservation of the character and charm of San Antonio’s buildings and customs. 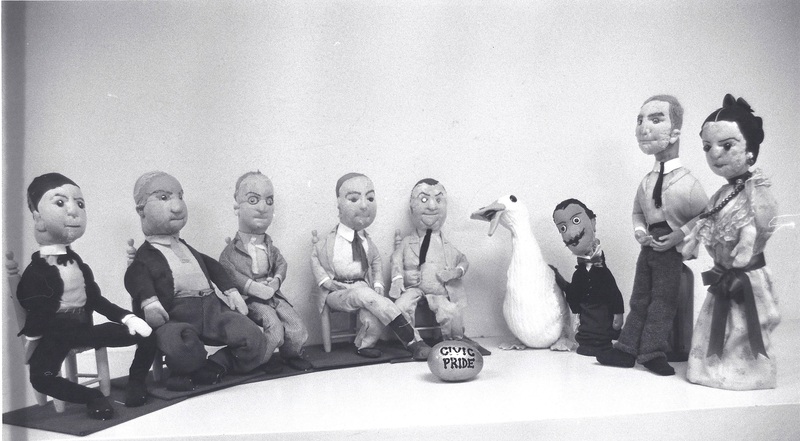 In September 1924, after sketching the city commissioners at their weekly meetings, they presented a play after the commissioners’ regular meeting, called “The Goose with the Golden Eggs,” performed with puppets crafted to look like the men themselves. The commissioners of the play were called upon to arbitrate an argument between Mr. and Mrs. San Antonio over whether San Antonio’s character and charms should be killed to achieve prosperity more quickly. Of course, the Conservation members in the audience responded NO amid many cheers. A few years later Emily Edwards went to Mexico to study painting with Diego Rivera and remained for ten years before returning to Hull House to head up its art program. Rena Green became the Conservation Society’s fifth President. Her longstanding interest in the missions culminated in the relocation of a national highway beyond the compound boundary of San Jose, piecing together the mission’s lands, and restoring its granary.